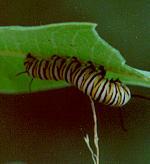 Provide nectar to adult butterflies ("nectar plants"). 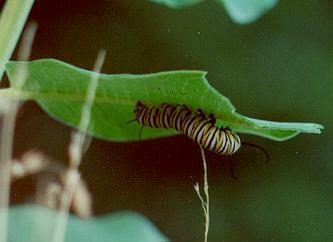 Adult monarchs will be attracted to gardens that provide nectar for them. Be sure to choose varieties of flowers that have early and late blooming times, so that nectar sources will be available throughout the season. Here are some favorite nectaring plants. Sedum such as "Autumn Joy"
Remember: Avoid using chemical insecticides and fertilizers on your plants. They may harm the butterflies. Learn how to get started planting native plants. Get information for your region. Whatever your level of experience -- from novice to expert -- the North American Native Plant Society invites you to explore the world of native plants. 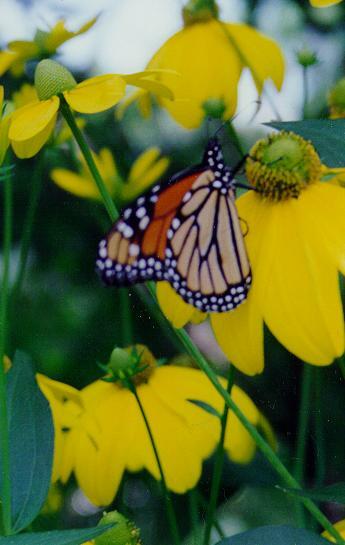 Your local garden center or county extension service may have particular suggestions for good nectar plants for your area, so be sure to contact them too. A source of water for butterflies can also be a good idea, but it is important to provide the butterflies with a safe landing place to drink from. Common drinking spots for butterflies are moist sand or mud.